Eviction is never fun – not for landlords, not for tenants, and not for property managers. No one looks forward to this process. If you’re evicting a tenant, it’s likely because rent has not been paid or the lease agreement has been violated. It means that you’ve probably lost money already, and you’re trying to avoid losing more. Most evictions in Orlando take between six and eight weeks to complete. It’s important that you understand the Florida eviction process so you can move quickly through the necessary steps and prevent further losses. There are seven steps to evicting a tenant in Orlando, and it’s important that you follow each one carefully. Before you make any moves towards eviction, take a look at your lease. There may be a grace period for the tenants to pay rent. There might also be a late fee that you need to include with your request for the overdue rent. You need to be prepared on how to approach the tenant when rent is unpaid. Your lease should lay out the requirements of rent collection as well as any consequences for late rent. You’ll need to take your lease with you to court if the eviction goes that far. Make sure it’s legally compliant in Florida and includes all the necessary language and requirements. If your lease doesn’t hold up in court, you’ll have a hard time evicting the tenants in your property. If your rental property is professionally managed, there’s not much you’ll be required to do when a tenant has to be evicted. Property managers are experienced in the eviction process, and we understand what’s required in order to remove a tenant from your property. Your property manager should keep you informed and go to court and file paperwork on your behalf. If you’re not working with a professional property manager, it’s a good idea to consult an experienced attorney before you begin the eviction process. In many cases, you can complete the eviction process yourself. However, we always recommend talking to an expert before filing for eviction. The steps can be very tricky and you do not want to miss something or do something incorrectly. Even the most minor mistake can get your case thrown out, and then you have to start over, which puts you at risk for losing more time and money. When rent isn’t paid and the grace period has come and gone, you can try to contact your tenant to find out when you can expect the rent. It’s possible your tenant has simply forgotten, especially if it’s a tenant who is pretty reliable with one-time rental payments. However, if you’re unable to get in touch with the tenant or the tenant cannot tell you when rent is going to be paid, you need to take the next step. This is the service of a Three Day Notice to Pay or Quit. The court requires you to serve this notice before you take any further action, and you’ll need to provide proof that this notice was served lawfully to the tenants. The Three Day Notice advises tenants that they have three days to either pay the rent that is owed or move out of the property. You can hand-deliver this notice to the tenants or post it on their door. We recommend that you also send a copy via certified mail. Once you deliver and/or send the notice, the clock begins ticking and the tenants have three business days to pay you the overdue rent. Tenants who intend to stay in the property are likely to catch up with the late rent within those three days, or will at least contact you to ask for an extra day or two. Consider working with tenants who promise to pay or want to set up a payment arrangement. Get any agreement in writing so your tenants understand that the eviction process will continue until rent is paid, even if there’s a plan for payment in place. If you don’t hear anything from the tenants after the three days come and go and they haven’t moved out, you will need to take the next step in the eviction process. You’ll need to go to court to file the necessary paperwork. After the three day period has passed and your tenants have not vacated the property or caught up with rental payments, you can file for the eviction in court. This is called a forcible entry and detainer lawsuit. You or your attorney will file the lawsuit in court, pay the filing fee, and receive a date for the court hearing. The constable will then serve the tenant a notice that the lawsuit has been filed. You’ll need to file this motion in the county that your property is located. Make sure that you follow all of the instructions to prevent having to start over. A number of things could happen that will affect the outcome of any eviction action once the lawsuit is filed and delivered to your tenants. It’s possible that the tenants will want to avoid eviction, and they’ll contact you to find out how they can stay in the property. We recommend you ask for a full payment of the rent and late fees that are overdue. If your lease permits it, you can require your tenants to pay all your legal and filing fees to date as well. It’s also possible that your tenants don’t have the money to pay but want to avoid the court hearing, and so they’ll move out. Hopefully, in this case they will leave you with the keys and let you know they are gone so you can get into the property and begin any cleaning or maintenance work that’s required before you re-rent the home. When your tenants don’t offer to pay and they don’t move out, you’ll need to go to court. When your day arrives, you will need to appear in front of the judge with all your evidence and documentation. Take a copy of your lease and a copy of the Three Day Notice that you served. Any other copies of correspondence between you and the tenant should also be brought to court. You could also take your accounting reports that show the missing rent. If your tenant contests the eviction, the judge will hear your argument and your tenant’s argument. If you win, there will be a five day grace period so your tenant has the opportunity to appeal before any further action is taken. Unless there is an extenuating circumstance that allows your tenant to successfully contest your eviction, you will win a judgment from the court. Once you have that and you wait the five days for a potential appeal, you can file for a Writ of Possession. This is the court order that grants you possession of your property and authorizes a representative of the court, such as a sheriff, the responsibility to remove any tenant who will not depart on their own. After you have been awarded your Writ of Possession, you’ll need to schedule a time with the sheriff to conduct the physical eviction. Most tenants want to avoid the humiliation of having all of their personal belongings moved out of the property, so they will likely vacate the home before the sheriff has to show up. However, there are some tenants who will stay in the property right up until the moment that the sheriff bangs on the door. Be prepared for anything. Once the tenant is removed from the property, you’ll want to change all the locks on the home for obvious safety reasons. You don’t want the tenant coming back for any reason. When your sheriff shows up to remove the tenant, you should be there as well, with your locksmith and a crew of people who can move out the tenant’s belongings if necessary. It’s very important to remain professional throughout the entire process. Eviction is an emotional and difficult time for everyone. While you’re probably going to feel angry that your tenant is still in your property and you may be frustrated that the process is not moving as quickly as you’d like, you must follow the law. You cannot shut off their utilities and you cannot make threats or show up to the property and demand they leave. These things will get you into a lot of trouble. We recommend that you work with a property manager or an attorney because the eviction process can be lengthy and costly, especially if you’re not sure how it works. 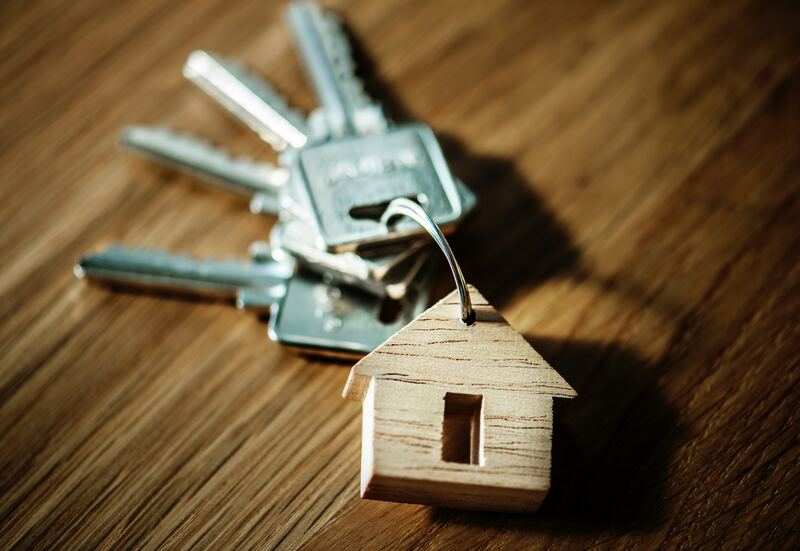 If we can do anything to help you or if you have any further questions regarding evictions in Orlando, please contact us at Specialized Property Management in Orlando.